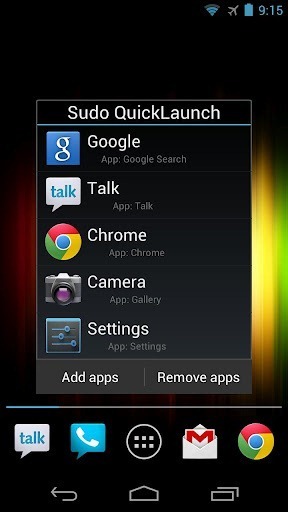 Sudo Make Me An App has just released Sudo QuickLaunch to the Play Store, an app that handily replaces Google Search's swipe-up gesture in Jelly Bean with a list of your favorite apps. If you're like me, you hit the search bar in Jelly Bean more often than you swipe up to get to Google Search, so Sudo QuickLaunch is a welcome addition that not only makes that gesture useful, but can keep your home screen clutter-free. Plus, those wanting swipe-up access to Google Search can place the Search app in their QuickLaunch tray. Besides its functionality, one of the benefits of Sudo's new app is that it is simple – it works exactly how you'd expect, is ad-free, and requires absolutely no special permissions. 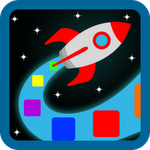 All that and it won't have a large footprint on your device – the app weighs in at a miniscule 110k. The app will cost you $1.49, but just because it's a brilliantly simple application doesn't mean it's not worth every penny. 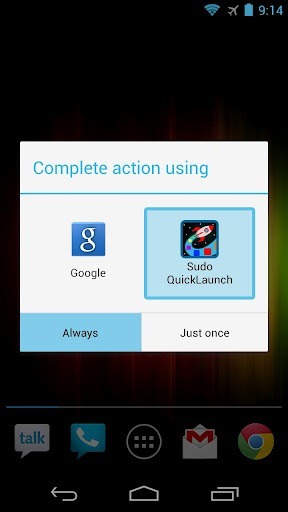 To give Sudo QuickLaunch a try, and make Jelly Bean's swipe-up gesture a little more useful, just hit the widget below.